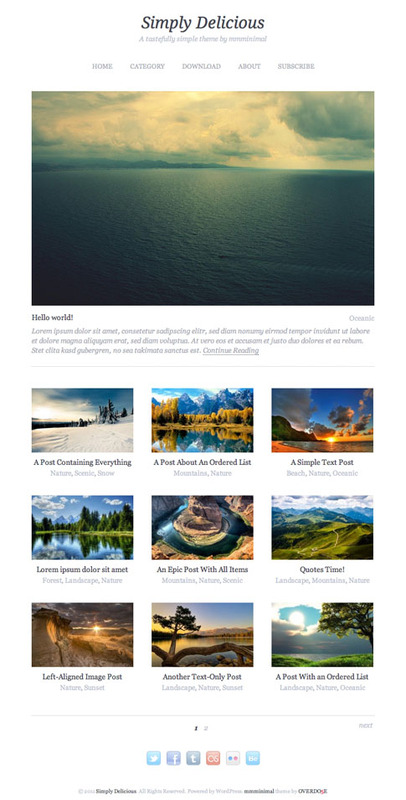 Simply Delicious is a free blogging WordPress theme based on mmminimal. This minimalistic theme features big images, clean styles, and easy browsing — perfect for modern blogs or even portfolios. Please remember to read the documentation before installing as Simply Delicious free theme heavily relies on big (640px wide) images. Download this wonderful theme at the end of the post! Come back and check out the showcase as we find more sites from around the web using Simply Delicious.